Can I tell you something? 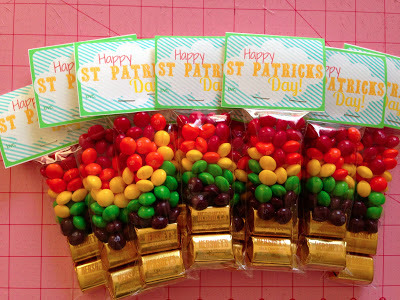 I have never ever done anything to celebrate St. Patricks Day. It's a non-holiday to me really, in the same category as presidents day or arbor day. It holds no special meaning to me even if there is a trace of Irish running through my blood. 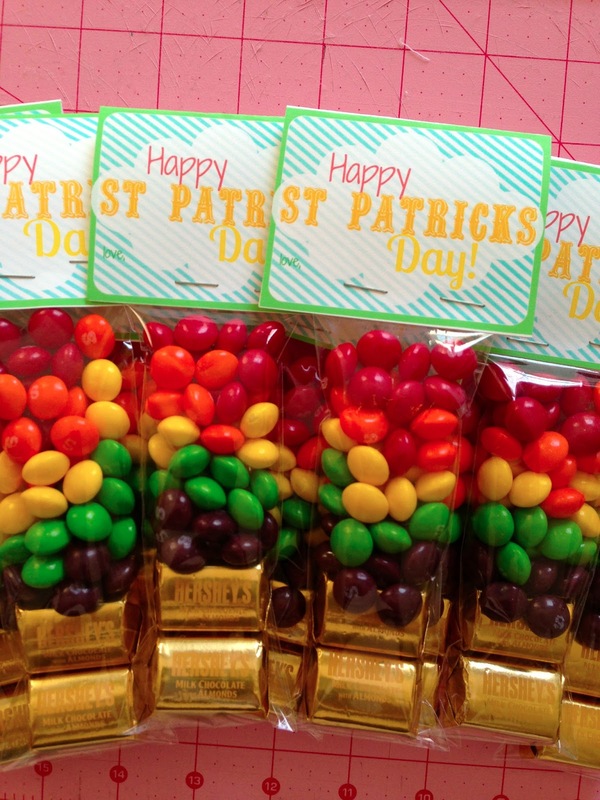 You want to make some of these cute treats for some special people in your life? 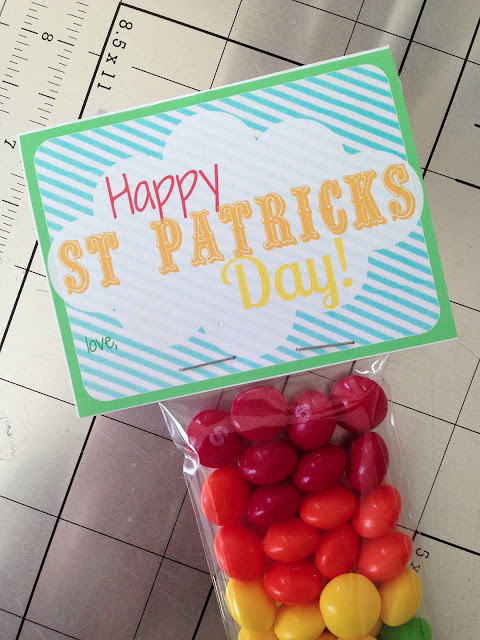 My free St. Patty printable you can download from HERE. All you need to do is print out as many of the printable as you need (leave white space for folding over). I print mine on cardstock. Stack the candies in gold first then opposite rainbow order. Fold the bag over and staple the printable on top. 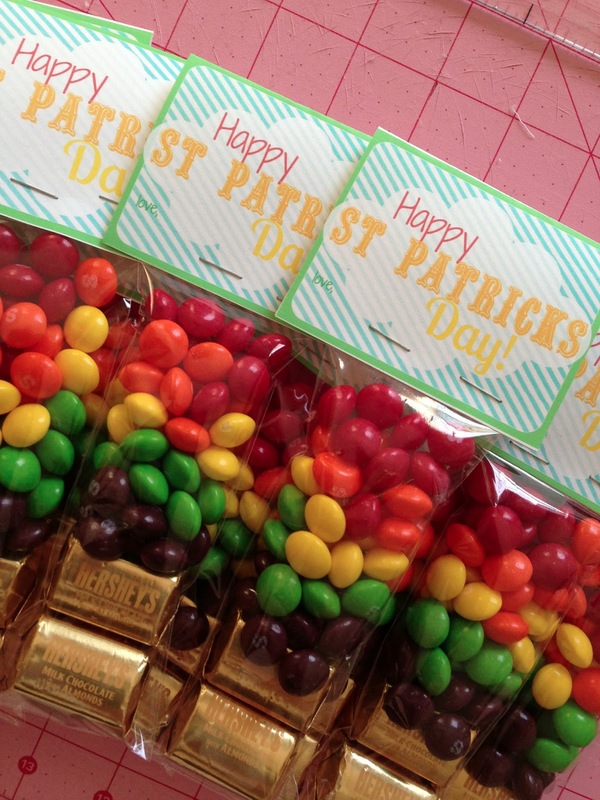 I found that the candy stacked easier if I kept the bags laying down while feeding them in. I also only did eight of each color skittle. You could obviously do more or less. 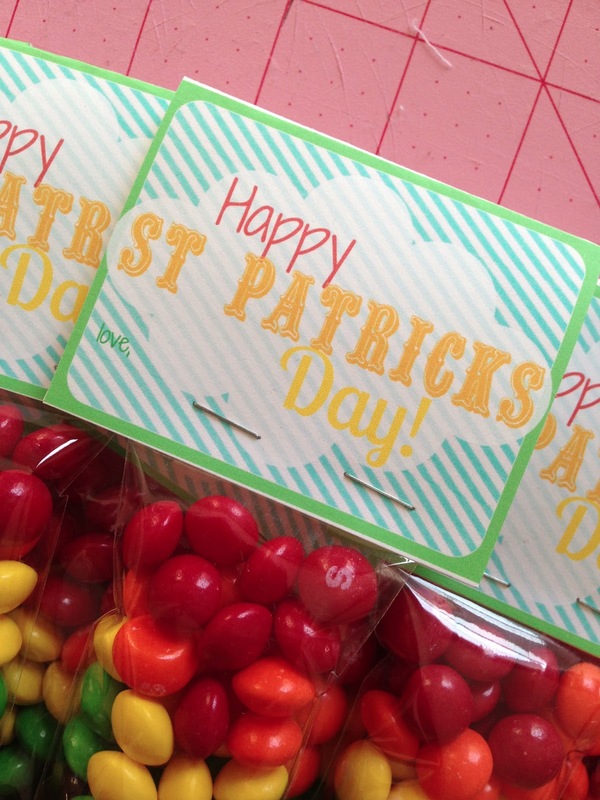 You could easily turn this into a learning craft too...counting groups of candy, colors, ROYGBIV, etc. Hope you enjoy bringing a little rainbow goodness to the people in your lives! Super cute. I am sure the kids will love this. And..... Arbor day cracked me up too!! :0!!!! Love it! Simple, yet just right!! And...Arbor day cracked me up as well!! :0!! Lol!